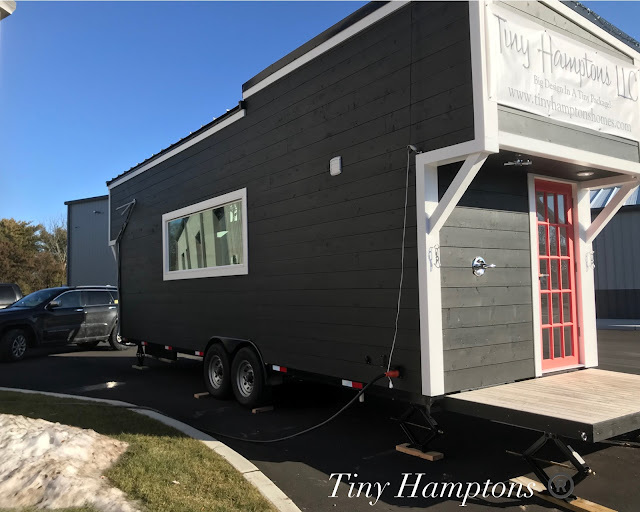 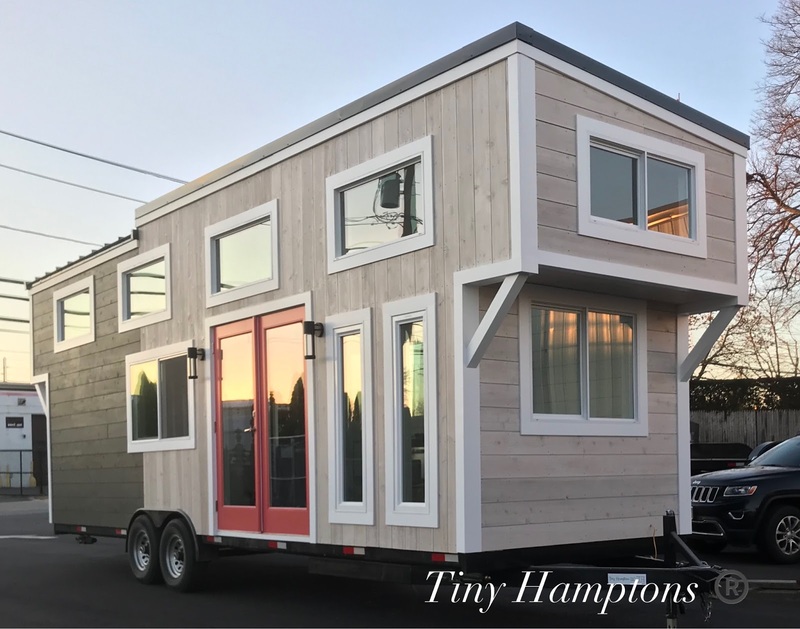 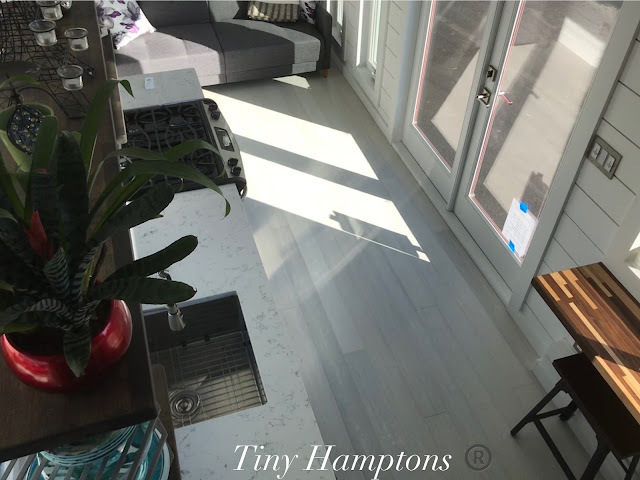 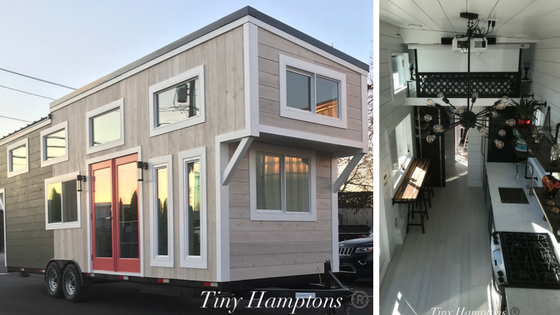 From Tiny Hamptons LLC is this stunning new tiny home named the “Bridgehampton”. 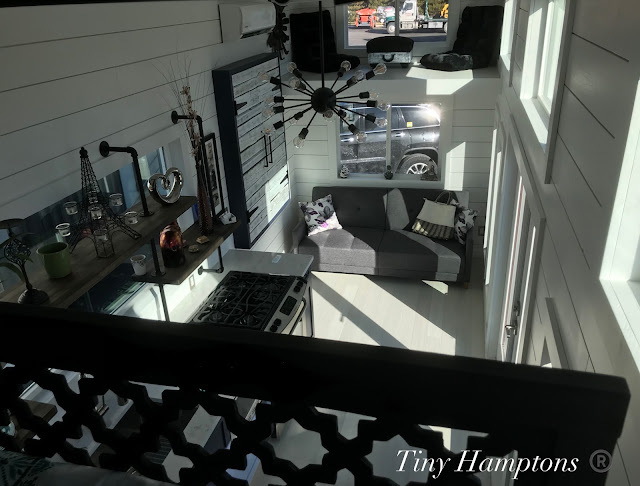 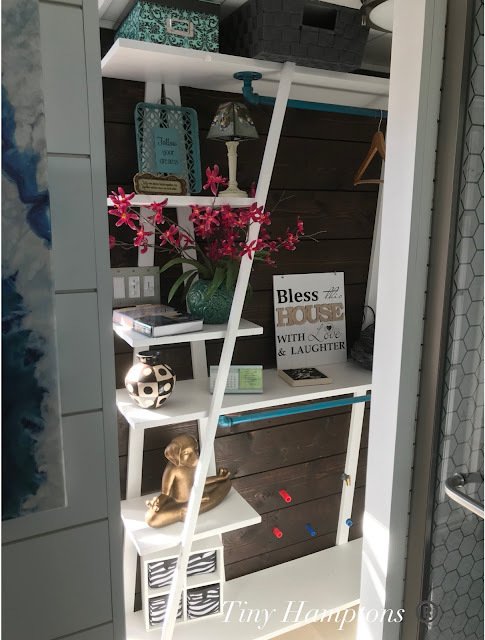 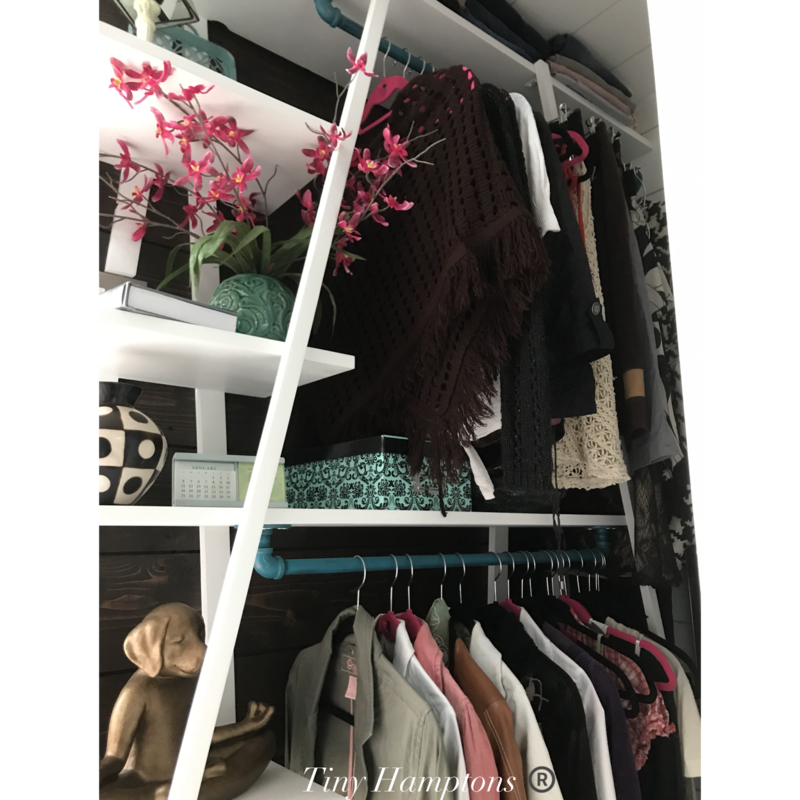 The home has everything you need to live comfortably in a stylish and functional 350-sq-ft space. 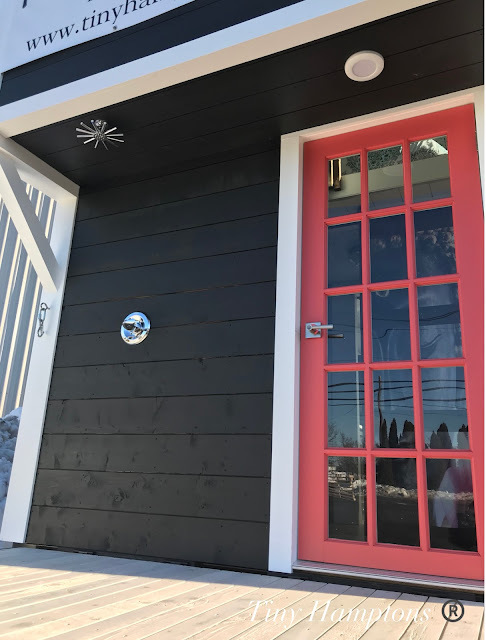 The exterior is clad in cedar with contrasting colors and a standing seam metal roof. 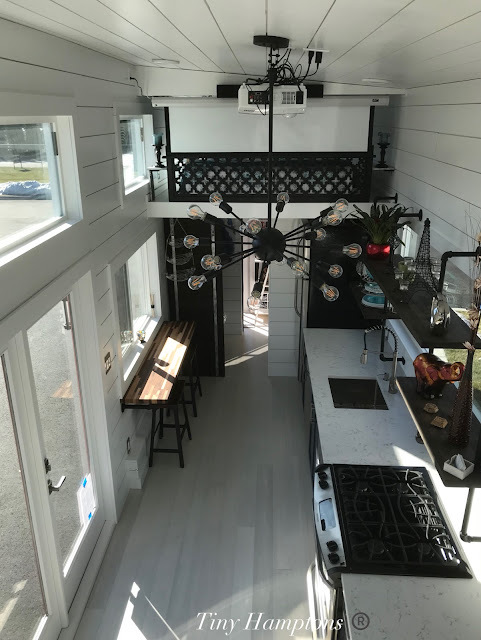 There are two entrances (one with a folding deck!) 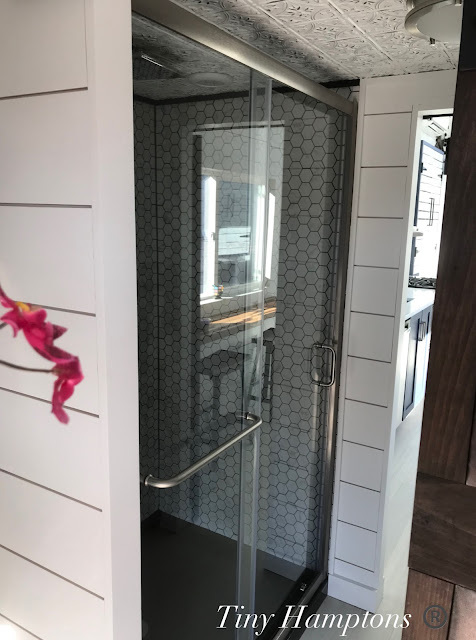 and an outdoor rain shower as well. 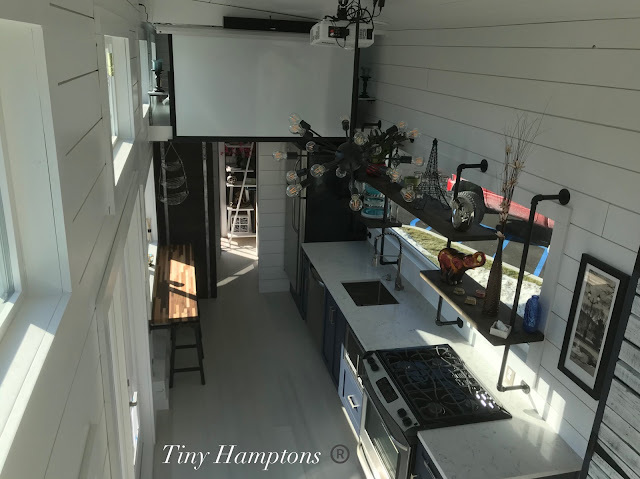 Inside the home’s bright interior is a living room with a projector TV, spacious cedar closets, a full kitchen, bathroom, and two lofts. 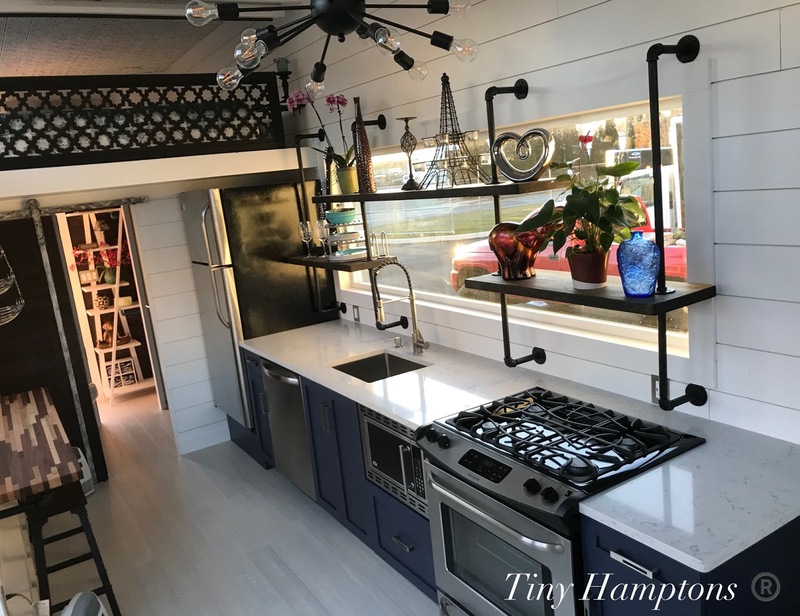 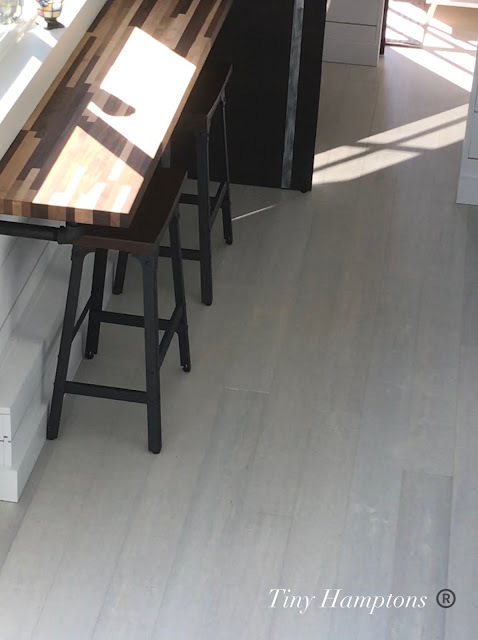 The kitchen comes with extra-deep custom cabinets, quartz countertops, full-sized appliances, butcherblock open shelves, and a butcherblock dining/work table. 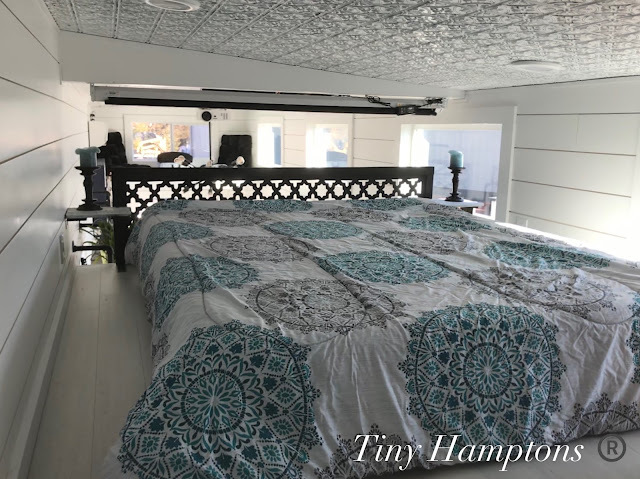 The Bridgehampton’s loft bedroom is 12’ in length- enough room to fit a queen-sized bed! There’s also two nightstands and a fireplace! 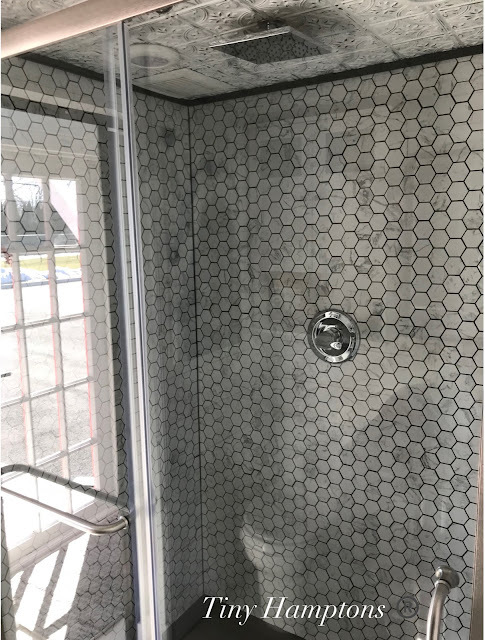 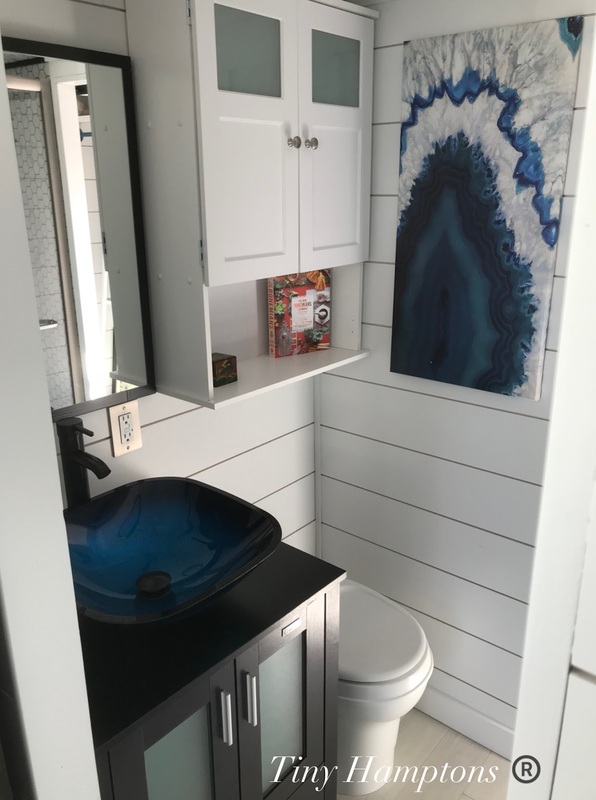 The spacious bathrooms has a custom tiled shower, a rain shower head, and a beautiful blue glass bowl sink. 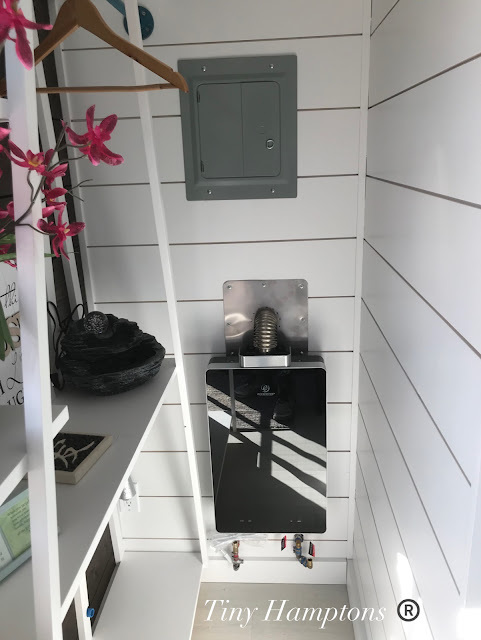 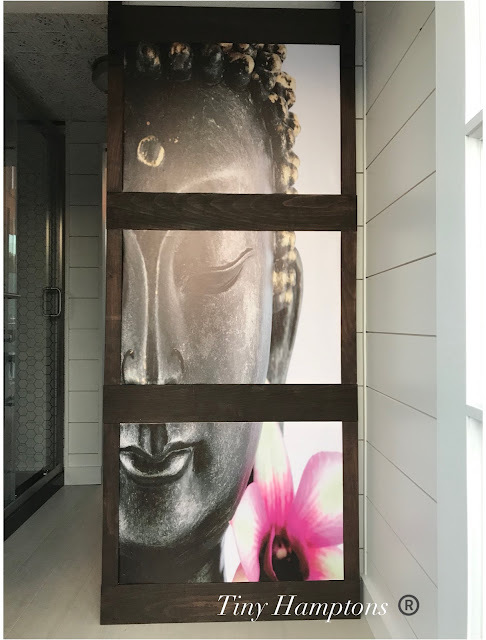 Also included in the Bridgehampton is hurricane strapping and ties, a mini split, an on-demand gas water heater, humidity sensing vent fan, USB outlets, and smart lights! 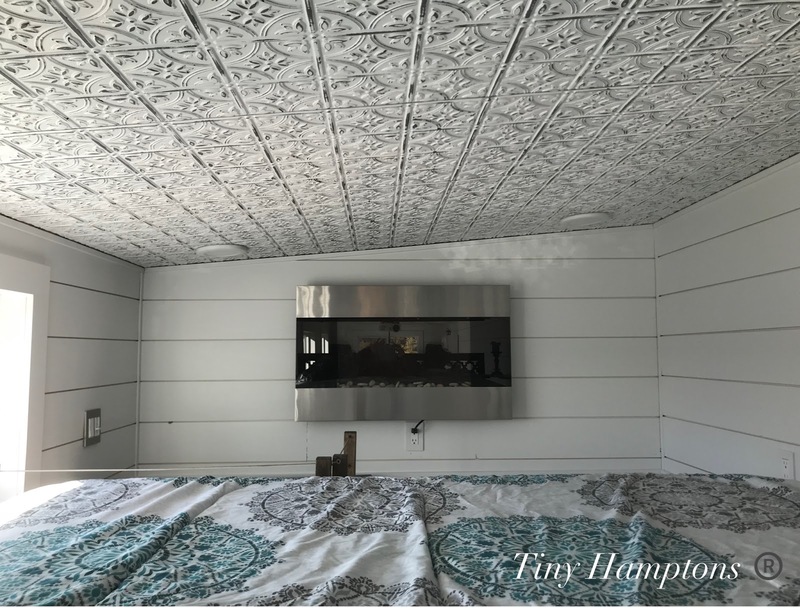 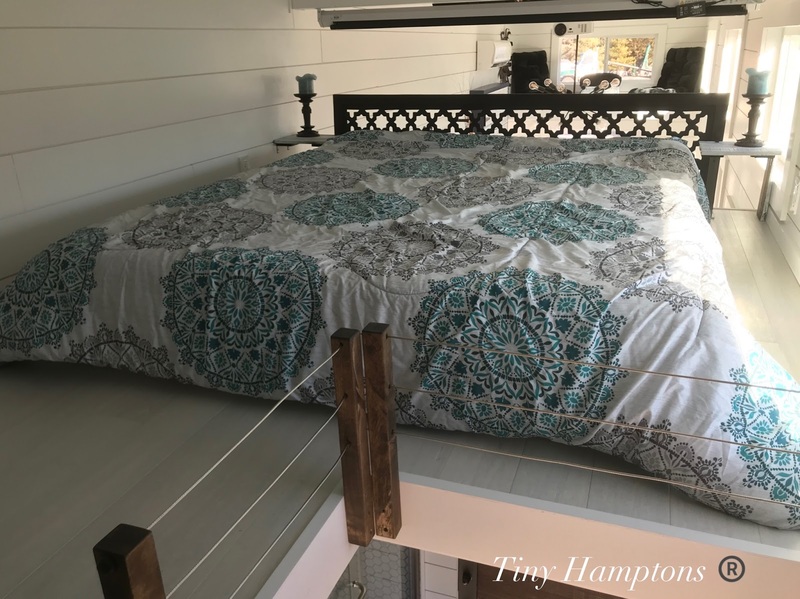 For more information, contact Tiny Hamptons LLC here! 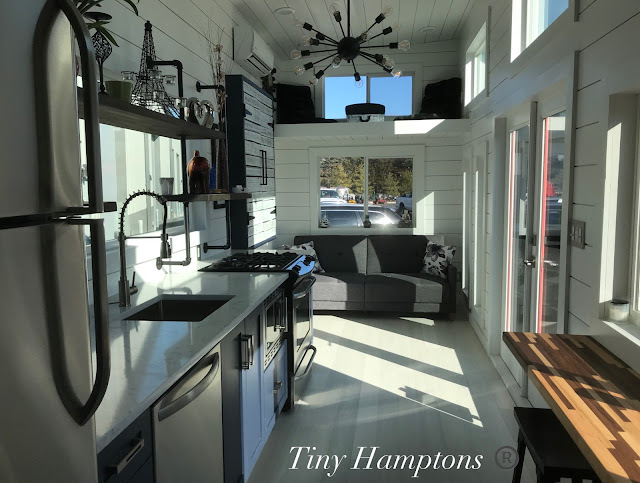 You can also view these other homes by the comapny here!